As a self-proclaimed foodie, visiting new places means trying out local cuisine and delicacies. Every trip would never be complete without exploring the food scene. 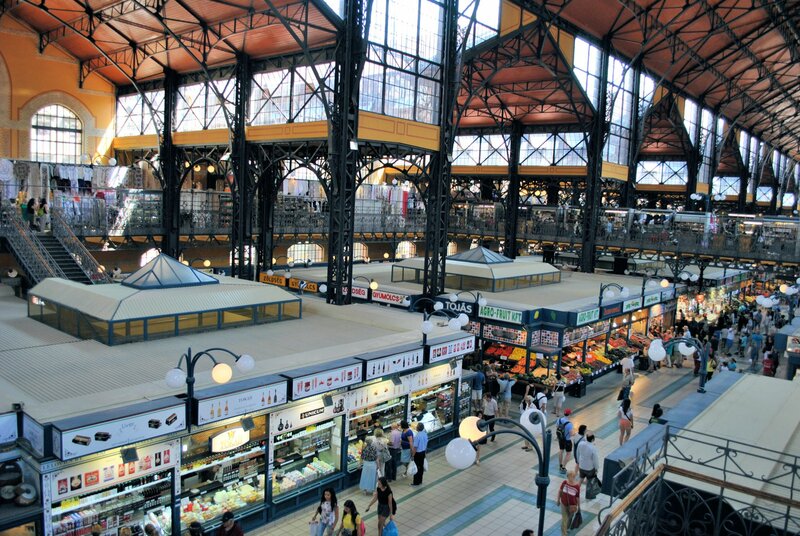 In Budapest the best place to go is the Great Market Hall. 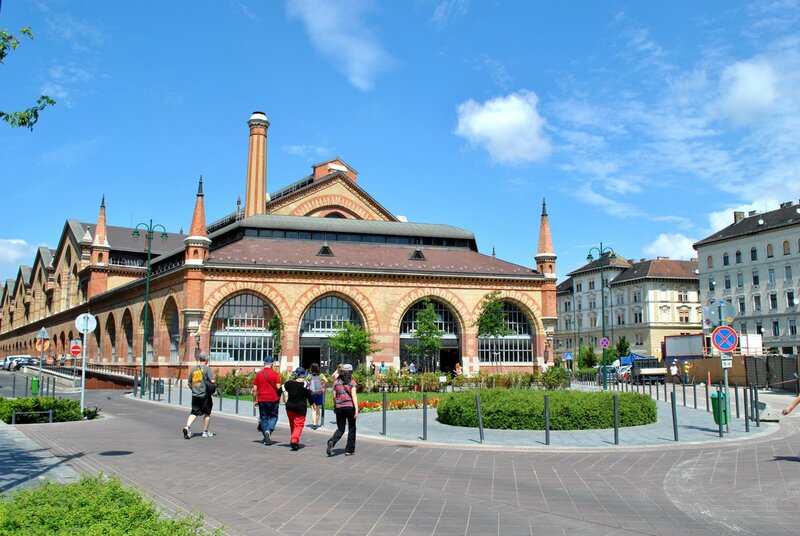 The Great Market Hall is a three tier indoor market. Located at the Pest side and few steps away from the Danube river. This market will surely impress you with all the items you will find and its grandness. From the outside you couldn’t tell it is a market because of its beautiful and distinctive architecture that features a Neogothic touch from the roof as well as the main market entrance. It was it in time for lunch when our tour group arrived in Budapest. To start our day in this beautiful city, we headed straight to the Great Market Hall to get some Hungarian Forint which is the official currency of Hungary. The market is equipped with cash machines and money changers for tourist who are traveling with euros. Hungary is one of the Schengen zone countries however they’re not part of Euro zone that’s why they have a different currency. Right after we got our Hungarian Forint we immediately surveyed the place to see what we can get for ourselves. I loved how clean and organized the market was. Every item and food ingredient I saw were good quality and fresh local produce. Surely foodies will enjoy shopping from this market. This is definitely a one stop place where you can buy anything like ingredients for cooking, souvenirs and whatnot. At the basement you can find the butcher shops and fish market. The ground floor houses various stalls of fruits, vegetables, wines, spirits, pastries, candies, spices, meats and cheese. You can also find few shops that sells locally made items which are good for souvenirs. I even spotted a novelty shops that has a creepy display of dolls and Halloween costumes. Moving on, it’s time to feed our hungry tummies so we headed to the second floor where all the restaurants are located. 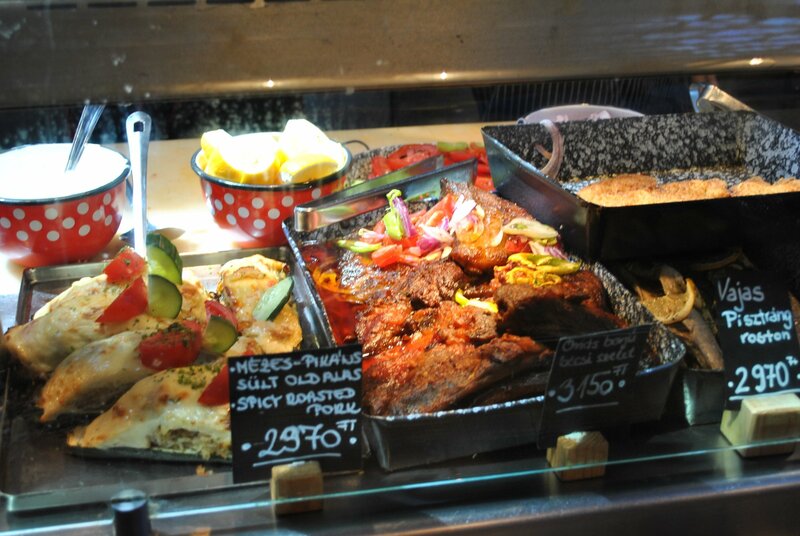 There are many restaurants to choose from however I want nothing but authentic Hungarian dishes. We found this Hungarian restaurant (I’m sorry I can’t remember the name) just right next to the escalators. The restaurant has a beautiful shabby chic ambiance with a band playing local music to entertain the diners. I don’t know how it’s called but the setup was like in a food court that has different stations wherein you can pick the items you like then pay at the end of the counter. 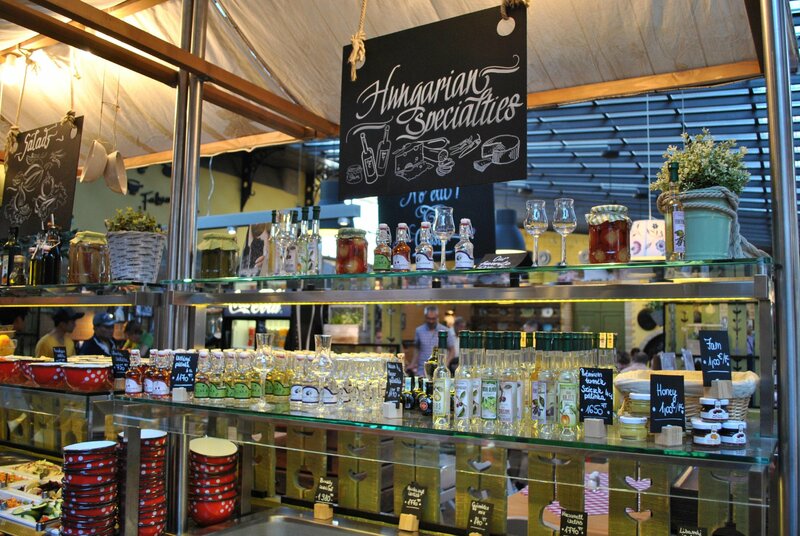 They offer a variety of Hungarian specialties such as spirits and pickles which are a must-try. However it was too early for us to have some alcoholic drinks so we opted for the Hungarian goulash because it is number one in our foodie-list to try. Actually everything looked delicious but having a serving of each was too much for us. Good thing they offered tasting sets which is a combination of dishes with small portions in each plate. The concept is having to try everything without overfeeding yourself which I truly appreciated. We ordered the Hungarian set and the Goulash tasting set. Each set has soup, salad/pickles and assorted main dishes. I can’t describe some of the ingredients used in the dishes since it was my first time to taste it. Anyway, the first picture above is a stuffed pepper with minced meat, spices and tomato sauce. The others were also Goulash dish presented in different ways together with carbohydrates to go with it. Goulash is a traditional Hungarian dish. It is a meat or vegetable stew seasoned with paprika and other spices. In the Philippines, I can compare it with ‘caldereta’ which similar in taste. Perhaps the only difference is the way it was cooked and the preparation. It is actually delicious, the meat was very tender and well seasoned. If you love stew then there’s no reason for you not to love Goulash. Some Hungarian pastries for desserts. Finally, a slice of Hungarian pastry or strudel completes our gastronomic adventure during our first day in Budapest. How about you? 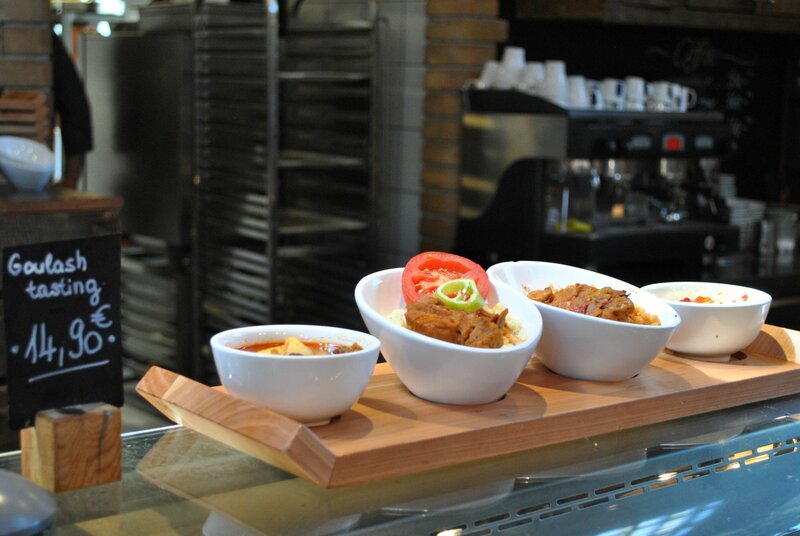 Have you tried any Hungarian dishes before? Do you know of any other Hungarian dish that you want us to try? Please comment down below and let’s talk. Great post, the food hall looks simply amazing in size & variety. Would love to visit it when we eventually go to Budapest. Hello! German beer is so hard to refuse hahaha. It’s better to get used to it. In Europe it is common that they offer wines and beers. I love Goulash. And the market itself looks so much fun . Plenty to window shop for sure. 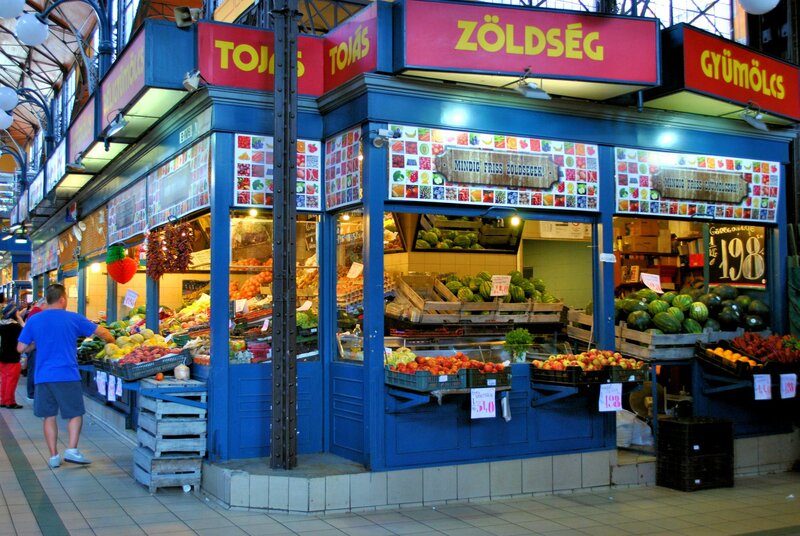 How expensive is this place though, as compared to the rest of the markets in Hungary? That’s the tidiest market I’ve ever seen. The food looks wonderful too. I’ve never tried Hungarian Goulash, sounds delicious. We’re heading to Budapest in June and this got me really psyched to try their food! We’ll be there for four days, so we’ll probably keep heading back here to eat for each meal – just so we can try everything! This is such a great post! I can’t wait to visit Budapest! I’m hoping to get there next year. I’m definitely going to save this post! I love food, so I would love this market. I am used to Hungarian pastries because there is a Hungarian pastry shop near where I used to live in NYC. But it would be better to eat the pastries in Hungary. I would also love to try the goulash. I’ve not been to Budapest but I saw a similar market in Hoi An in Vietnam. From the outside it was just one of the many buildings. On the inside it was a treasure chest of goodies! Awesome! Foodie here too! But a veggie foodie here. I love to try out local food and street foods wherever I go, though at some places, finding veg gets difficult! Glad to know there’s a veggie version in the traditional goulash! The concept of Tasting sets is really good! I saw it first at an Indian restaurant in London. As another foodie reading this post, this is quite interesting!! Never had Hungarian food and it sounds delicious. The stew is perfect for a cool day. Food and travel go hand-in-hand!! The Market Hall looks so neat and organized. There is so much to shop as well as window shop in the market. The Pastries look quite tempting. I would love to try Vegetable Goulash and how about the pricing in this market. Is it expensive or at par with the market rates. And are there any operational hours for this market. 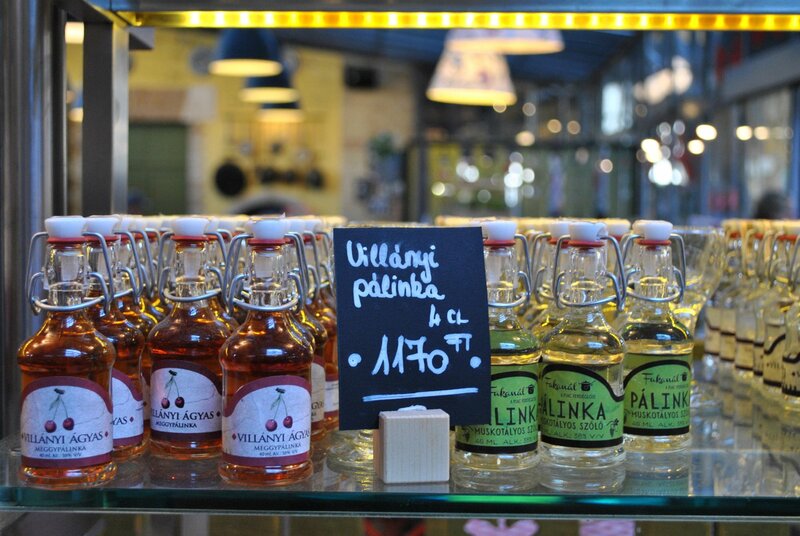 I also included the market in my visit to Budapest, and I loved it! 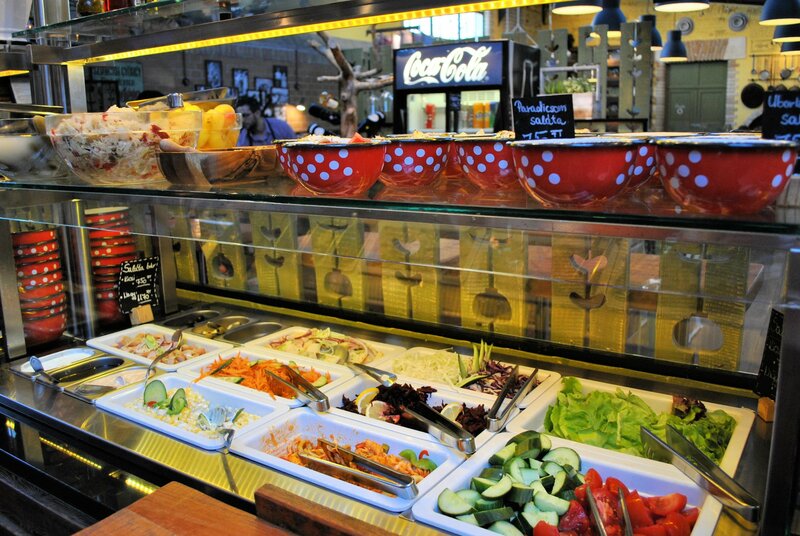 There are so many options of food and souvenirs; definitely a great place to enjoy some local cuisine! This is not the easiest place to navigate well, so thanks for putting this together! This is great! So fantastic! I’m doing a Prague/ Budapest trip this year- will have to check this place out. Hungary is such a beautiful country. Defiantly on my list. Thanks for sharing this post. Love it! well you brought this place alive for me – I love all the details in your description and your photos are wonderful. I’m hungry now and their pastries look so delicious. Oh how fun! I would’ve loved to walk around that market. Hi Jessica… 🙂 Thanks for dropping by… 🙂 Wish you do have a chance to see this city and this market hopefully sooner rather than later. I definitely missed this in Budapest! I need to get back pronto! Nice! I feel hungry after reading your post! hehhe Hope I can visit that place soon. Thanks for this! you made all the food real yummy. Nice pictures! I never had Hungarian food before, but I would love to try. They look good especially the pastries! Omg..everything looks so delicious. I’ve never been to Hungary, but I’m a big foodie so would definitely want to visit soon! That market hall is pretty massive. 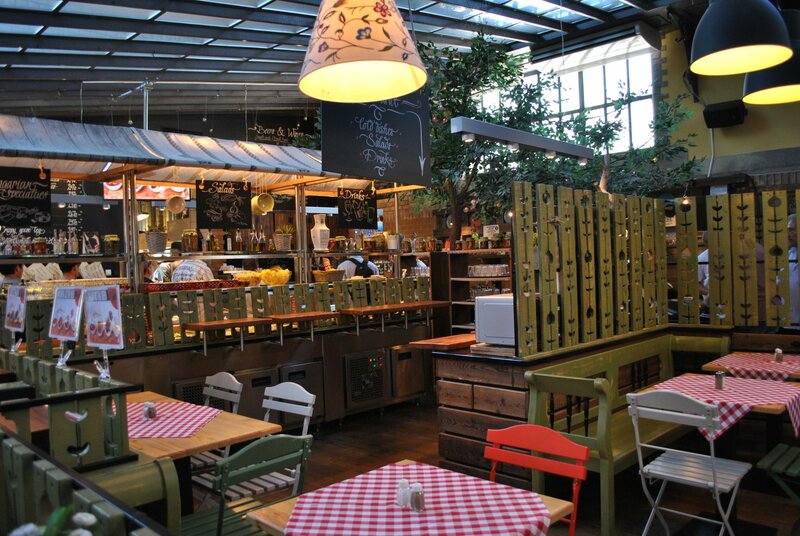 You found tons of food in there and it looks like a must see when going to Budapest. I love these types of markets! Will be sure to be checking it out when in Budapest! I would love love love to visit Hungary soon, so glad to come across this post. I’m a foodie too and could appreciate trying some of these things. One major aspect of reading travel blogs is about realizing that I am yet to taste a lot of things in the world. Although I know the world goulash, I don’t think I have ever tasted anything remotely Hungarian. So, this post is again goes to my food related bookmarks. Thanks Joy 🙏 for being so kind in your words.